Featuring a Vibram sole, the Giro Rumble VR MTB Shoes is a strong contender if you're looking for a great value shoe that combines cycling efficiency and walking comfort in equal measure. The Giro Rumble VR is an especially good looking shoe you'll feel comfortable wearing on or off the bike. Vibram soles are rated among the most dependable for safe walking traction on pavement or trails. A stiff, moulded EVA shank at the pedal-stomping zone enhances pedaling efficiency. The shoes are SPD compatible. 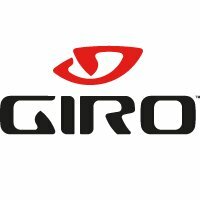 Giro Rumble VR MTB Shoes take>SPD or equivalent 2-bolt cleat (not supplied - cleats come with pedals, or as spares, not with shoes). The soles are equally fit for riding standard flat pedals.